With many people having varying tastes, companies are tasked with coming up with products that will appeal to most users. 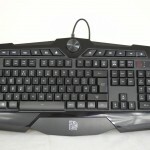 For instance, there are a number of different Cherry MX switches for keyboards, so while the keyboards may look the same, the different switches help to suit each individual need. 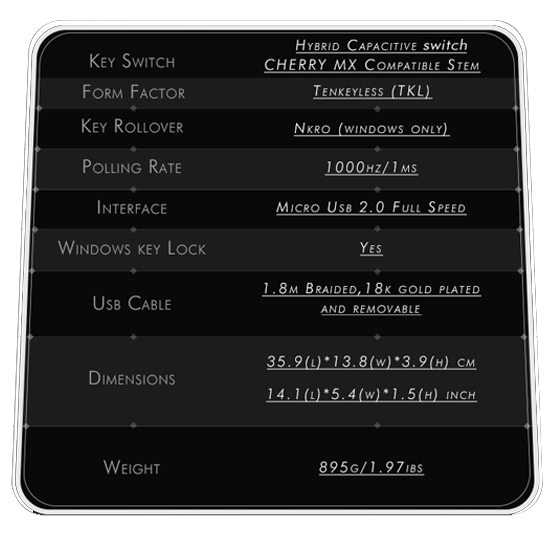 Today, I will be taking a look at a keyboard that features a hybrid capacitive switch, also known as the Topre switch. The Topre switch was designed with typing in mind and has become a fan favourite of the typing elite. 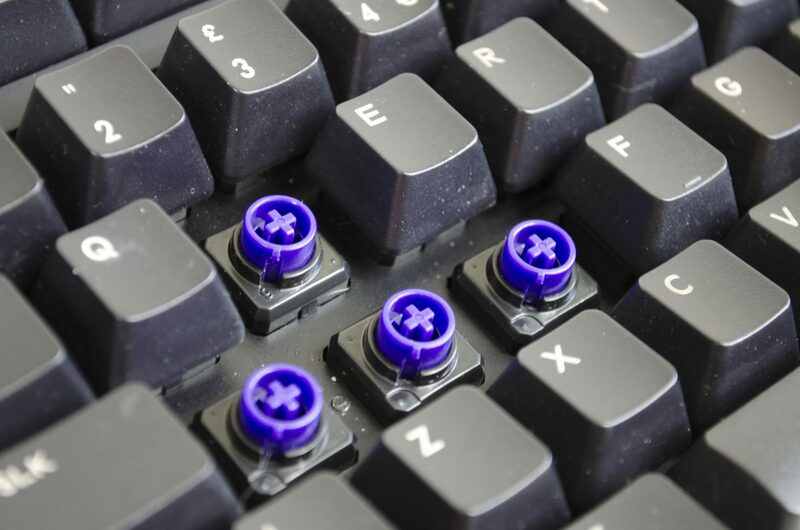 Cooler Master have given us their effort of using the Topre switch in the form of their NovaTouch TKL keyboard. 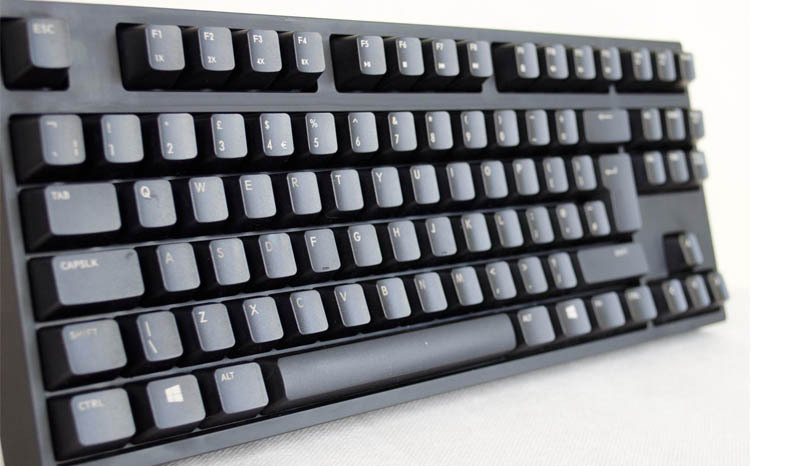 The NovaTouch TKL features an ergonomic TKL (TenKeyLess) design and doesn’t come with any gimmicky features or lighting. 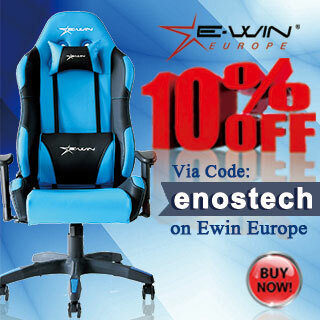 It is a standard keyboard designed to perform well while not causing any discomfort in any way. 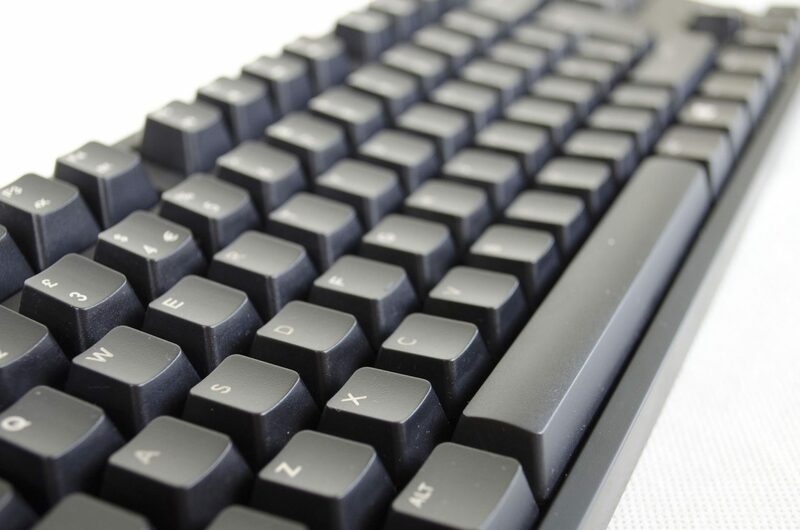 The NovaTouch TKL also features N-Key rollover and Anti-Ghosting features and comes with some rubber O-ring noise dampeners in the box so users can enjoy a quiet typing experience. 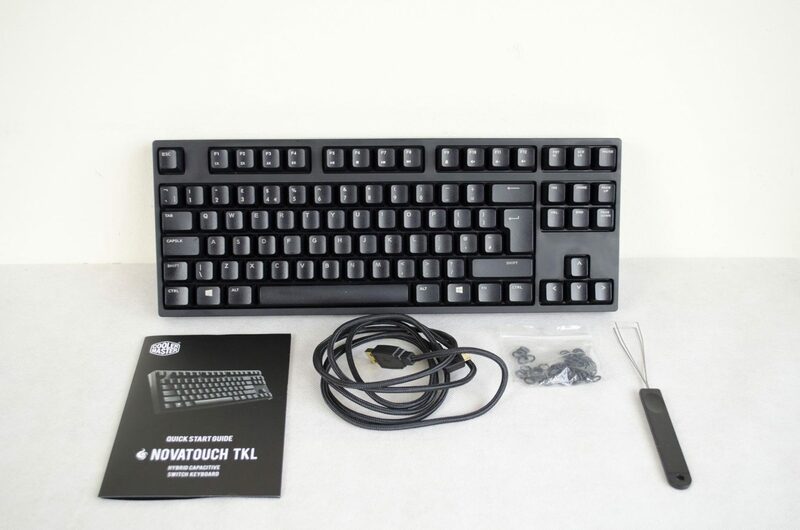 Opening the box and we can get our first look at the NovaTouch TKL and the accessories it comes with. 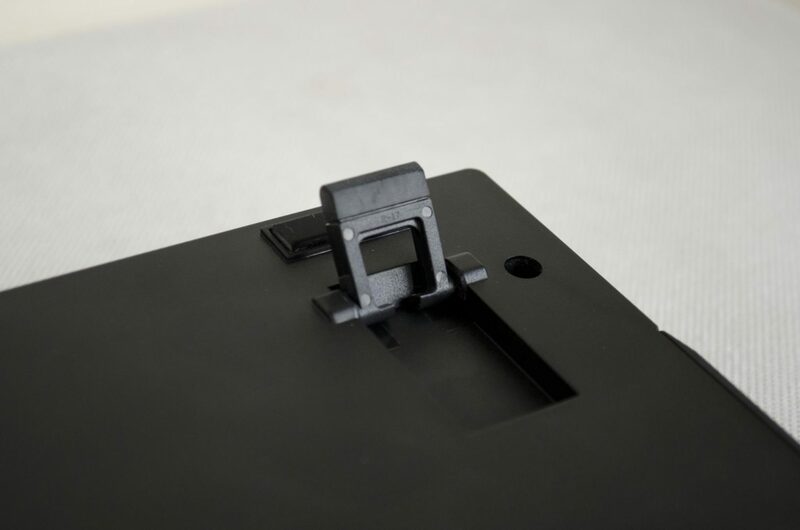 Alongside the keyboard, users will also find a key cap puller, some rubber O-rings to dampen the noise of typing and the USB cable used to power on and connect the NovaTouch TKL to your PC. 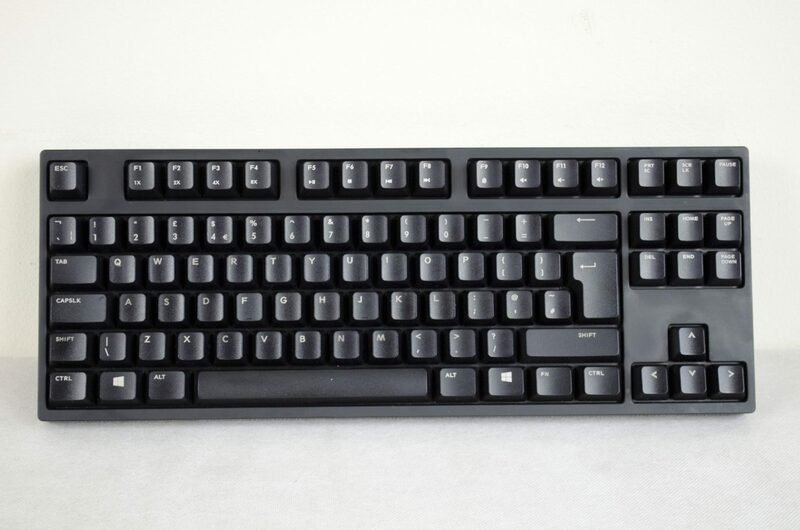 The NovaTouch TKL is a rather simple looking keyboard. There are no extra features or gimmicks here, just a plain black keyboard designed for typing on. I myself am a fan of number pads, but I have to say this keyboard does look nice and tidy. It has a sort of stealthy smooth look and feel to it, which should help it fit right in on anyone’s desk. The Topre switches feature a nice purple look to them and are a pleasure to type on. 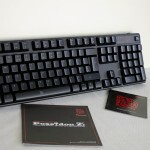 Another one of their great features is they are backward compatible with Cherry MX keycaps. 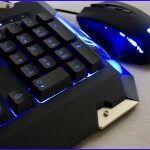 If you want to customize the keyboard a bit, it should be fairly easy to find some keycaps to use with it thanks to this. For those that don’t know, the Topre switches are actually designed to be sensed electrically when pressed, rather than physically as with some keyboards and switches. The NovaTouch TKL also features a removable USB cable, something which I am a fan of and wish more companies would do with their keyboards! There is a small bit of branding towards the top left, which is just fine with me. It’s so small most people won’t even notice it. 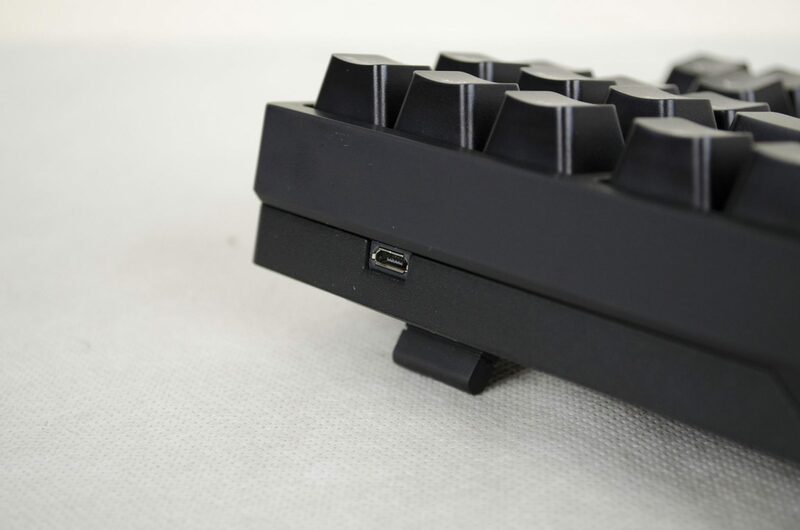 We can also get a glimpse at one of the feet on the keyboard that help raise it up a bit and is a pretty standard feature on most keyboards these days. I used the NovaTouch TKL for about 5 days so I could get a good feel for it. 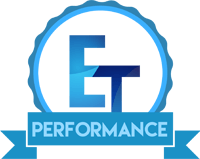 In this time, I typed a number of reviews, did plenty of testing in-game and also, used it for my everyday internet browsing and wasting time on social media. 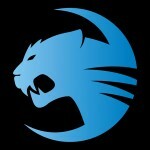 Overall, I was rather impressed, but let’s break it down a bit! When it came to gaming, I wasn’t quite sure what to expect at first, though I must say I was pleasantly surprised. The Topre switches offered great feedback, thanks in part to being electrically sensed. There was no real break-in period at all, especially when gaming. I just hoped in the game and off I went, almost as if I was using my standard keyboard. The NovaTouch TKL, paired with the Topre switches makes a great gaming companion. 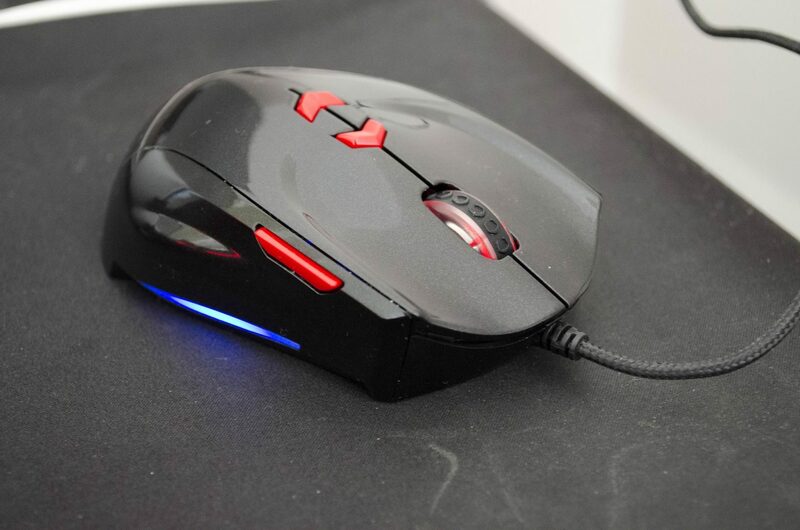 While this is not a gaming keyboard per say, it definitely handles gaming very well and was a pleasure to frag with. For my testing, I loaded up my normal FPS games and got on with it. In faster-paced games, such as Quake Live, the NovaTouch really impressed me as it registered input instantly thanks to the Topre switches. 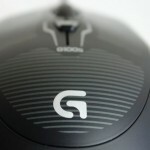 In slower paced scenarios such as sniping, or playing CS:GO, the NovaTouch was right on point as it doesn’t require a massive amount of pressure to register the input. This means when you need to slow things down or be sneaky, you can as you won’t have to mash your keyboard to register input. There’s nothing worse than trying to sneak around a corner in a game like Thief, only to have to really mash a key in, to make your character crouch or something similar. All in all, I was happy with its gaming performance. For day to day use and typing, that is where the NovaTouch and the Topre switch really shine. When first getting used to it, it almost seems as if it’s a cross between a Cherry MX switch and those found on a more standard membrane keyboard. It’s hard to explain and you will really have to experience it for yourself to find out, but don’t worry as it’s not a bad thing, not at all! Using the keyboard for longer periods of times did not cause me any discomfort. While I would have loved for it to come included with a wrist rest, I didn’t really miss it that much after a couple of minutes of using it. 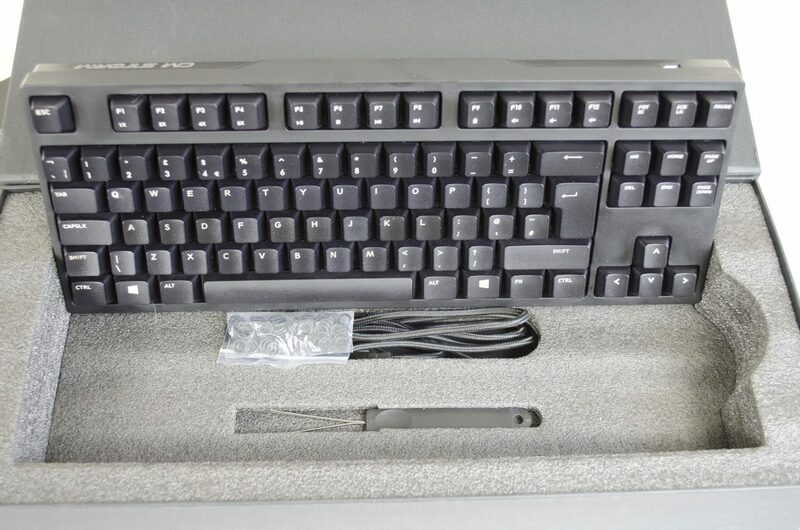 Typing for prolonged periods of time is where the real joy came with the NovaTouch, as everything was done so fluently and was much quieter than my normal keyboard with Cherry MX Red switches in it, even without using the O-rings. I know this will sound a bit odd, but it almost seemed as if sometimes my fingers were just typing away without my brain doing any of the work. Everything was just so smooth and effortless it didn’t seem as if I really had to concentrate very hard, just went with the flow type of thing. 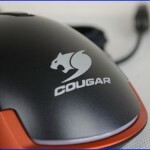 Using it for day to day tasks, such as web browsing and the likes, it was great. As it is a TKL, the added space to the desk was a plus and I actually quite enjoyed it as everything didn’t feel as cluttered as normal. 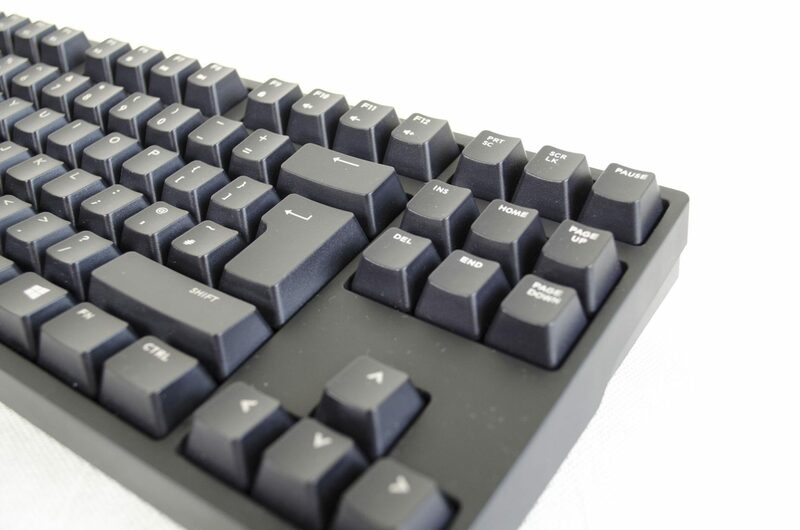 Using the FN key and some of the F keys, you can easily control your media, including volume levels. Again, I was quite pleased with it. 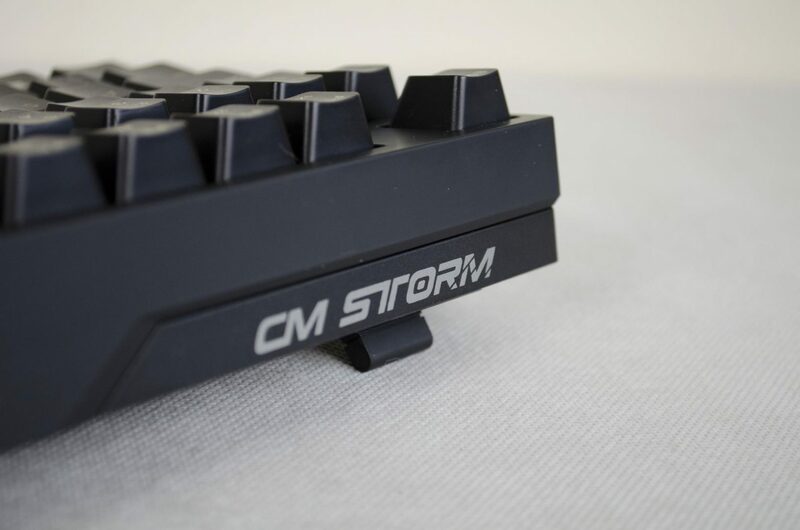 The time has come to give my final thoughts on the CM STORM NovaTouch TKL Keyboard. While most of it was great, it does have a couple of minor shortcomings that need to be addressed. First, the performance! During my time with the NovaTouch TKL, I didn’t notice any disruptions in my typing or gameplay, which was nice. The keys seem to respond very quickly which is great in games and the Topre switches are rather nice to type on. Typing on them does feel like a cross between Cherry MX switches and rubber dome, but it works, and it works well! There is just something about it all that is rather satisfying, no amount of descriptive text can compare. You really need to try one for yourself. 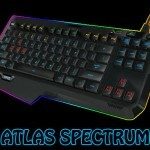 As for the design aspect of the NovaTouch TKL, it is rather simple, which is OK. While I would have loved to of seen some white backlighting on this keyboard, I can kind of understand why they didn’t put any. In my opinion, CM wanted it to seem a bit more professional like and as such, tried to stay away from any gimmicks, which LED backlighting can be in some cases. 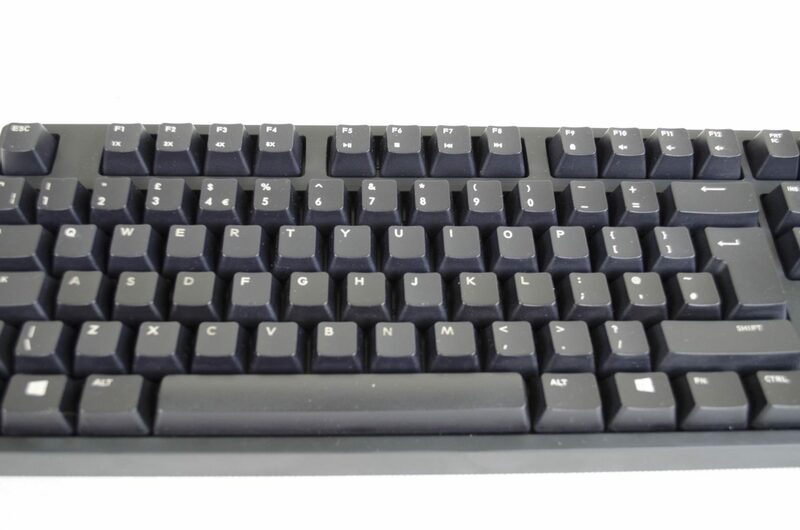 Other than that, it is a solid TKL keyboard that does, in fact, look quite professional, which is rather nice. Lastly, the value and this is where we get let down quite a bit. 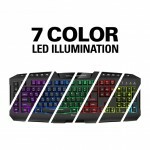 For the price, you are getting a solid performing keyboard, but there are no features or added benefits to help set it aside from the rest. I mean, there isn’t even any backlighting on it, which I feel is a bit of a shame in this day and age. Yes, you can do backlighting without going crazy and making it look gimmicky over overly gamer like. 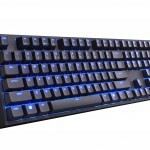 However, when compared to keyboards from other companies that feature the Topre switch, the NovaTouch is a tad bit cheaper, so make of it what you will. 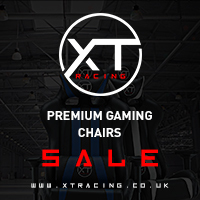 At the end of the day, it does offer a great experience so value will be down to the individual user and their needs though I do feel personally it is priced a bit high especially considering it only comes with a 2-year warranty! Major thanks to Overclockers UK and Cooler Master for arranging Toby’s UK tour and letting me take part!